Ecuador enacted the Special Law for the Conservation and Sustainable Use of the Galápagos Province in 1998. It prohibited further settlement on the islands, put controls on tourism and fishing, and discouraged introduction of foreign plant and animal species. Non-native species, some of them introduced by accident over the centuries, threatened the survival of native Galápagos wildlife by competing for food, destroying conflicting interests among the various sectors such as tourism and fishing. 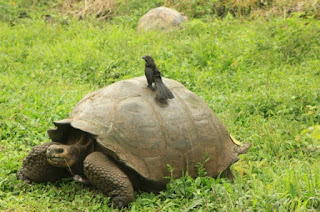 Organized tourism to the Galapagos began in the late 1960s. The first live- aboard yacht, with accommodations for up to fifty-eight passengers, began cruising in 1970. A master plan for tourism written in 1974 initially allowed a yearly maximum of 12,000 tourists. Discussions have been constantly underway to implement evolving master plans to preserve the precious resources of the Galapagos National Park and Marine Reserve. In 2011, the park director of the Galapagos Islands reported that there were over 173,000 visitors in 2010, a 6% increase over the previous year. Roughly 75% of non-Ecuadorian visitors stayed on live-aboard vessels. Visitor information cards (reporting general information including age and nationality). Reports by ships on the number of tourists carried per trip, and 3. Reports from the guides (stating number of tourists aboard, duration of trip and sites visited).